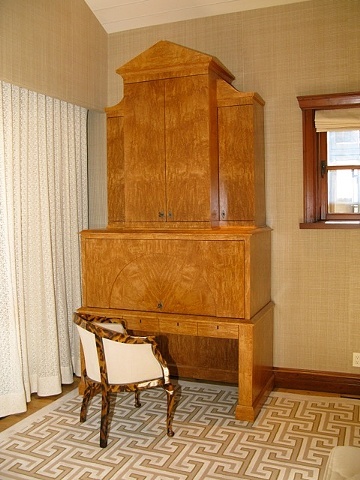 Armoire made out of Maple and veneered with book matched, Karelian Birch Burl. Upper section has tapered pediment and two doors with shelves behind. Lower section has knee space and four small drawers. Entire cabinet has a stain with satin lacquer.